Earth Day is right around the corner on April 22nd, and it is a great time to shed some light on our Living Green program at Lincoln. You, too, can get involved with our conservation program and help us make a diferance! 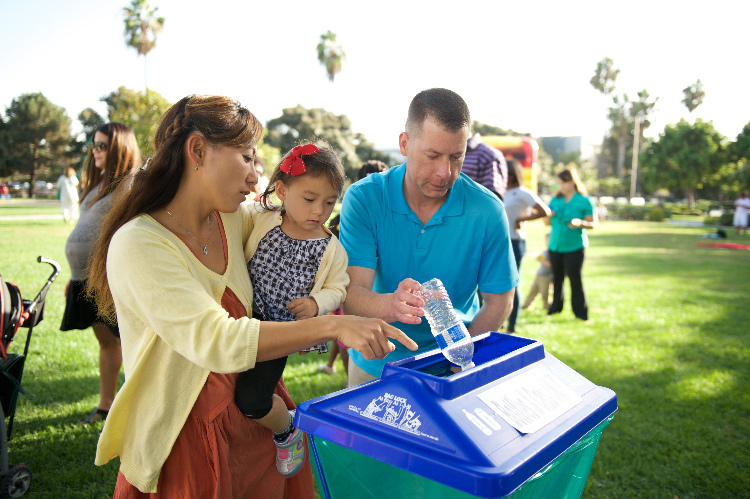 The Living Green program invites all residents who have an interest in living a green lifestyle, whether that is recycling, reducing energy costs, water conservation and more. With most District events throughout the year a Living Green theme will be added to the Living Green Booth with activities and information for the residents. Monthly emails are sent to residents who are a part of the Living Green Team. Each monthly email is designed and specific to San Diego, Fallon, Seal Beach and El Centro to inform the resident on the Beach Clean Ups throughout the year, our Water Bottle Collection, our Earth Day Event, raising money for the Susan G. Komen Foundation, The Boot Campaign and local Farmers' Markets and activities. Those who are already a part of the Living Green Team must wear their Living Green button at check-in to receive their thank you prize drawing ticket. As a thank you for being a part of the Living Green Team, we have a monthly drawing for San Diego's residents to have a chance to win #4 1-day/1 park Disneyland Tickets! For Seal Beach and El Centro we have quarterly drawings for a chance to win #4 1day/1 park Disneyland Tickets! Each month/ quarter once the winner is chosen the rest of the thank you prize drawing tickets are thrown out. We start again the next month/quarter for families to have a better chance of winning! The more events you go to, the more chances your family has to win! If you are not a part of the Living Green Team, you can sign up at your next District Event at the Living Green Booth!